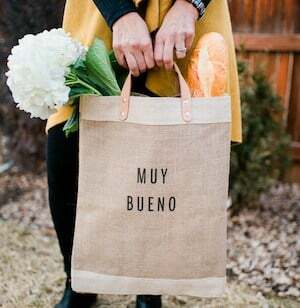 I raced past him and picked up our Muy Bueno cookbook, which was spread open to the Champurrado page, which was sitting on our cookbook stand on our kitchen counter. At that moment I got a genius festive idea (if I do say so myself) to put all the ingredients for a batch of champurrado in a jar. 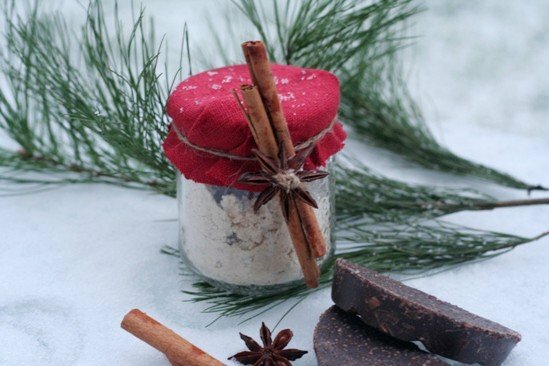 I attached the cinnamon sticks, anise star, and a recipe card, to the outside, and voila, a fun and certainly much more creative gift idea. My hubby just stared at me, shook his head, laughed out loud, and said, “How do you come up with this stuff?” I just giggled and shrugged my shoulders. I didn’t feel like I could show up with only the champurrado in a jar so I emptied out a basket, added some festive tissue paper for fluff, and then placed a Muy Bueno cookbook in the basket, the bottle of red wine, and my newly created champurrado in a jar. 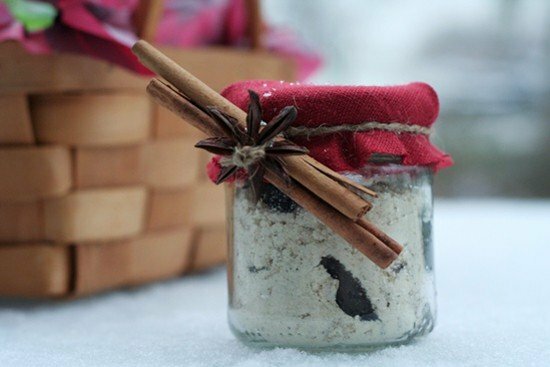 If you are looking for something unique to give that foodie friend, try creating your own muy bueno champurrado in a jar and print out our recipe card included here. 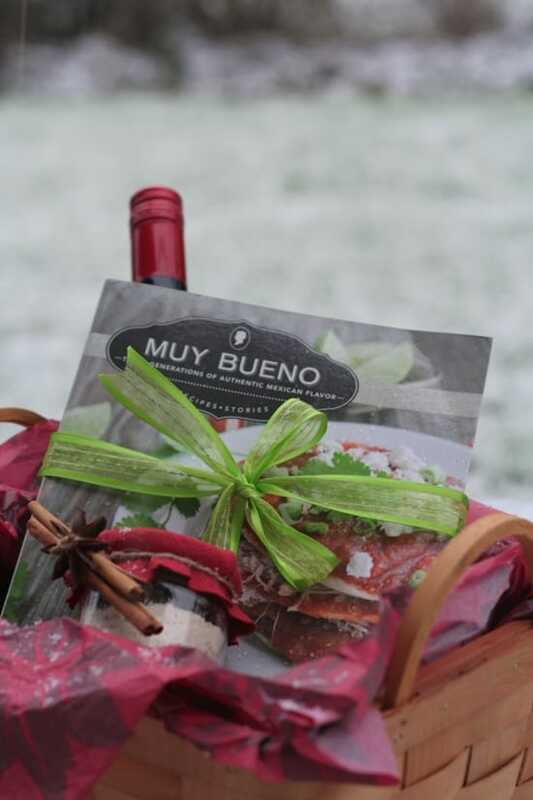 If you want to give more, then do as I did and add our Muy Bueno cookbook. It costs as much as the average bottle of wine, but will live forever in their home. 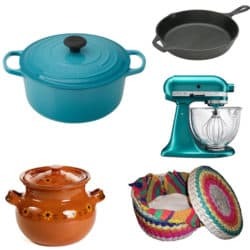 Do you have any impressive homemade gift ideas? We’d love to hear them. Clever, idea. I love champurrado, but had never thought to give it as a gift. I love this idea. Gracias Victoria. When I prepared it I just threw everything from the jar into the cinnamon and anise water, without the cinnamon and anise star of course and whipped it up. 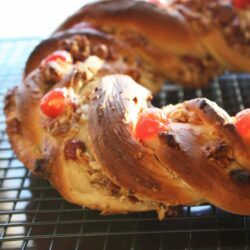 It turns out just as creamy and delicious! Thank you for purchasing our cookbook. 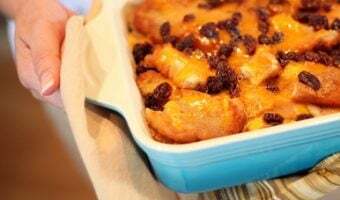 I hope you don’t wait until next year to try the recipe, you must try it this holiday season, especially if the weather is cold where you are…it will warm your soul y corazon…enjoy! 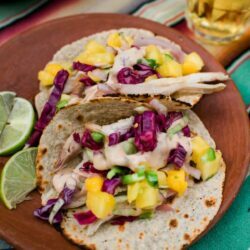 Great idea, I’m going to try this recipe, can’t wait! So glad you like it! Please come back and let us know how it turned out. This is definitely a genius idea – I love it! Almost as much as I love champurrado itself ;P Merry Christmas, lovely ladies! Thank you, we’re glad you love the idea…Feliz Navidad amiga! Besos. I love this idea! 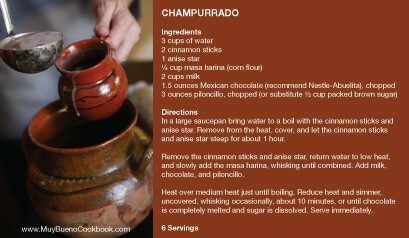 Champurrado is one of those “in the know” things I love to share w/ my non-latino friends. They love it once they try it and now, thanks to you, it’s so much easier to share with them. Thanks again for sharing your creative ingenuity with us! besos! 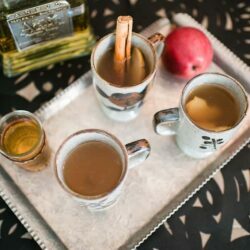 Hola Celia, so glad you like this fun idea for champurrado. 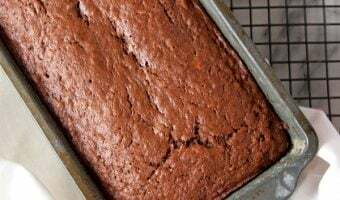 I made a batch yesterday just for me and the kids and hubby…we added a little rum for adults and it was just as delicious. Happy Holidays! 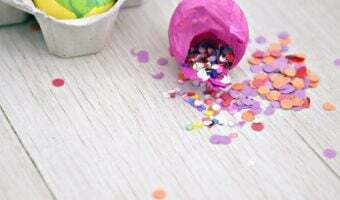 This is such a special idea! I’m making this tomorrow for Christmas gifts. One question, what size jar did you use? Sorry for the late reply. You can use a leftover preserve jar or a 6/8 ounce mason jar. Hope that helps!